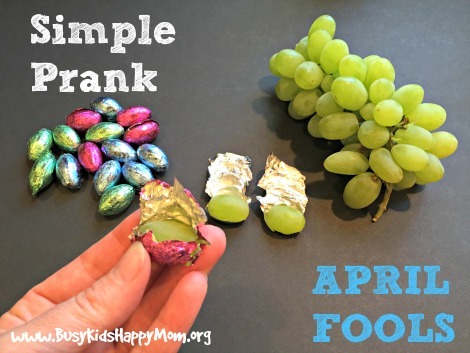 April Fools Day… have some family fun! Let me first start by saying that I’m not a big prankster, but I do like to have FUN! 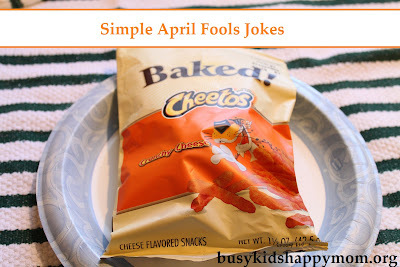 Every year we try to come up with a fun prank to play on our kids for April Fool’s Day. We’ve surprised the kids with CHEETOS for lunch, poked holes in water bottles on a hot day, and served brown-E’s for dessert. It doesn’t take a whole lot of extra planning, but I do like to be prepared. 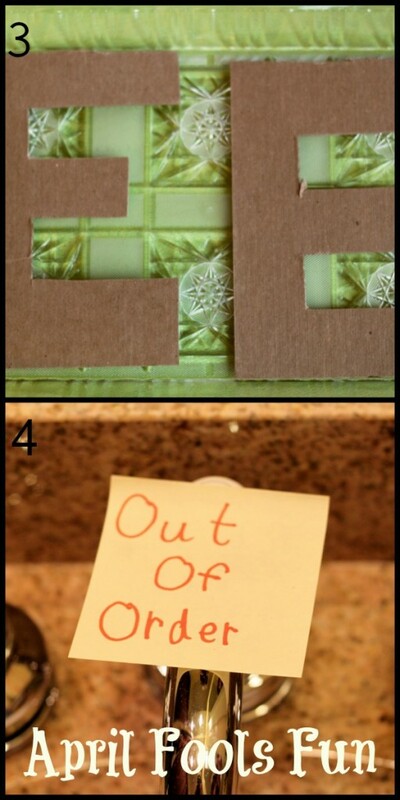 When my kids were little, they loved “closing” the bathroom with a handmade CLOSED sign. Now they make up their own jokes and their own signs (see below). 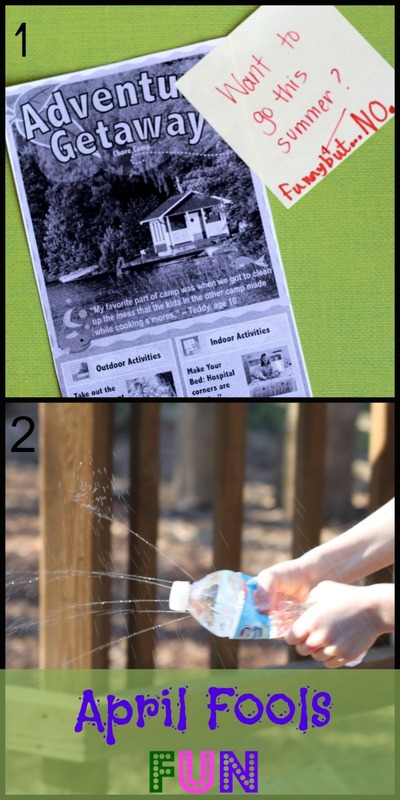 Here are our April Fools pranks for this year as well as ideas from past years, shhhhhh – don’t tell my kids! I can’t decide if the “Chocolate Grapes” or the “Doorbell Broken” sign are my favorite. What do you like? 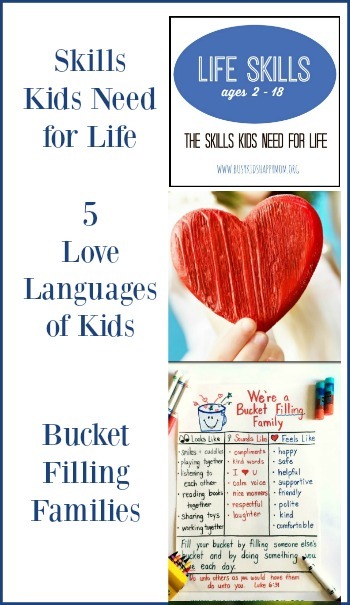 Older kids will definitely get a kick out of these! We filled up some water bottles and put pin pricks in them. The water doesn’t come out unless they’re squeezed. Fortunately, it was a nice day! We left them on the deck and sent the kids out to retrieve them. Fun all around! A fun Aprils Fool prank is to serve your kids some Brown E’s. Get it? Brownies? I made sure I had some real ones so they didn’t think I was too mean. I probably gave myself away by serving it on my fancy Dollar Store platter, rather than a paper towel! My son surprised us all by making the sink “out of order”. Pretty cute. Now ready for my April Fools Fun….. 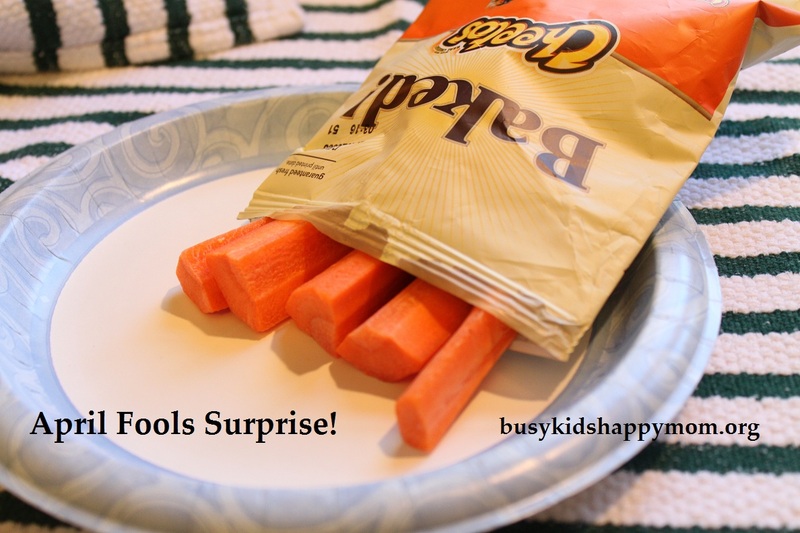 Baked Cheetos… I mean CARROTS! Open the bag by the bottom and add the carrots. Glue the bottom back together. Lunch box surprise! Can you even stand how awesome these “Chocolate Grapes” are? Grapes fit right into the Hershey’s chocolate egg wrapper. Just carefully unwrap the chocolate. Eat it. 🙂 Then, wrap the grape back up! I thought about sending these to school, but I think they’d get crushed in the lunch box and ruin the surprise. I think instead I’ll offer up some of “my” Easter candy as dessert on April Fool’s Day (April 1). Surprise – they’re grapes! I’ll make sure to have some real ones (with chocolate inside) too, so they’re not too disappointed! Have you seen the hilarious door mats that say “Doorbell Broken. 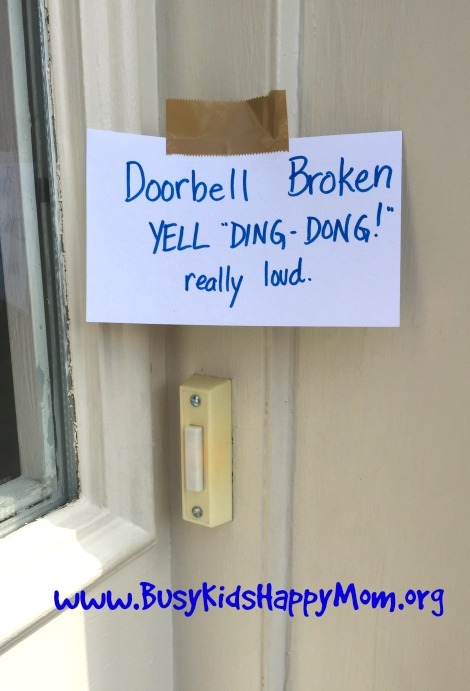 Yell “Ding-Dong!” really loud.” My husband hadn’t and thought this was super clever. I’m going to put it on my front door for when the kids get home from school. We’ll see if they fall for this trick. (Doubtful, but it should be a good laugh). Want to follow our April Fools’ board on Pinterest? Click HERE. Laughter is good medicine. 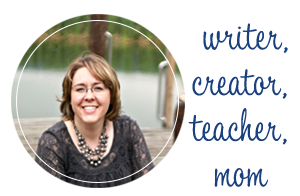 I’d love to hear what you plan to do this year.